Unlike many other dog breeds, the list of common dog health problems for Bichons is fairly short. 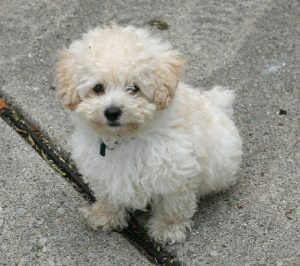 Bichon Frises are hearty and healthy little dogs, and aside from allergies, medical care is usually easy for this breed. 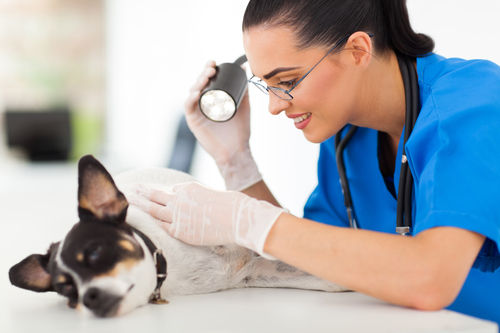 Of course you will consult with your veterinarian from time to time, but, your dog’s good health is largely dependent on how well you take care of him. 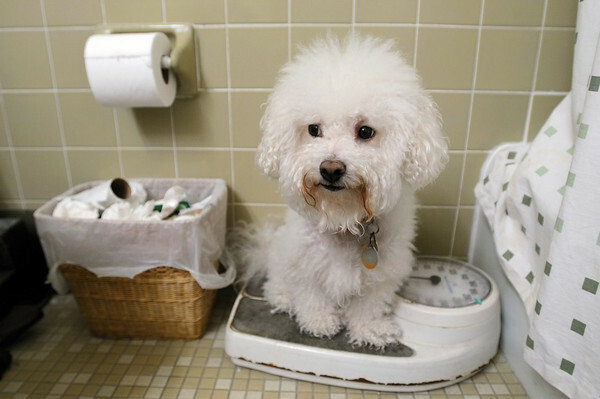 Keep track of your dog’s weight, as weight loss or gain can indicate a medical problem. You will be responsible for everything from giving your dog a heart worm pill once a month to making sure he gets a regular checkup from time to time. 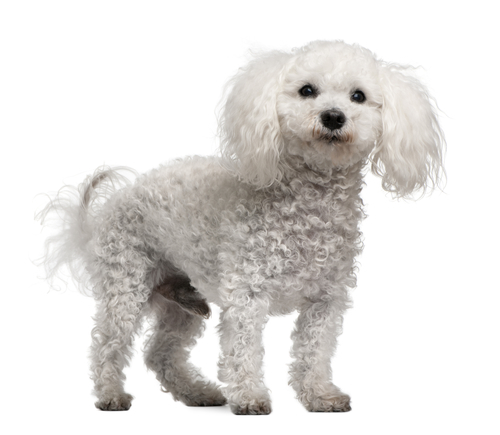 Some common dog health problems in Bichon Frises are preventable and others are inherited. Purchase your new puppy from a reputable dog breeder, and you will avoid many genetic problems or weaknesses. 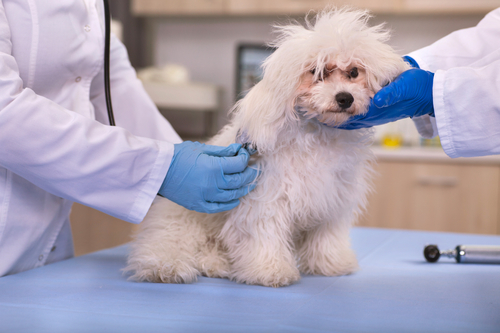 So what are the most common dog health issues for Bichon Frises? Allergies top the list of health issues that Bichons inherit from their parents. This is probably the most common health problem in the Bichon Frise breed. If your Bichon has allergies, you will probably notice that she is itchy and scratches a lot or even bites herself. Check to see if your dog has an irritated spot on her skin or even a place where her hair is falling out. Bichons with allergies can also have digestive issues, as well. 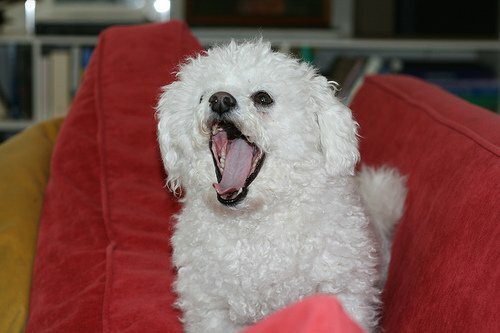 Gum disease or periodontal disease is probably the second most common health issue for Bichon Frises. Gum disease and bad teeth can lead to more serious health problems like heart disease and kidney failure. You really don’t want your Bichon to lose her teeth! Fortunately this is one you can do something about. If you brush your dog’s teeth, avoid table foods and soft foods, and have your vet clean your dog’s teeth when necessary, you can avoid most dental problems and related medical conditions. While it seems like it would be simple to keep your dog from eating things bad for her, the truth is that, most dogs will eat something nasty once in awhile. And then an upset stomach and vomiting (sometimes even diarrhea) will be the result. It’s not fun, but dogs can be sneaky little critters, and they love garbage and other nasty things. In addition, Bichon Frises can also have some other digestive problems. Your Bichon’s urinary system works to get rid of wastes in her body and it also is responsible for balancing the water and electrolytes (salts) in her body. The urinary system also helps maintain a healthy blood pressure and processes vitamin D, important to a healthy immune system. 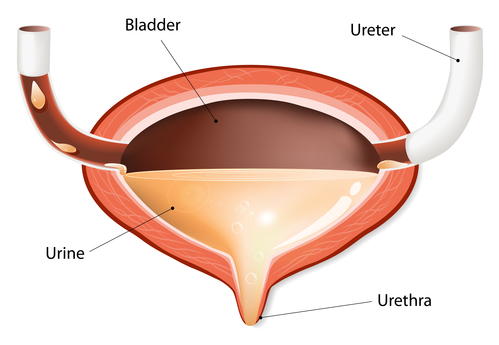 Some urinary tract problems are inherited, while others are the result of injury, disease or exposure to toxins. Bladder stones are quite common in Bichon Frises. If your Bichon pees frequently, has lots of bladder infections and starts to have “accidents” in the house, he might have bladder stones. So important to your dog’s world, his senses are sometimes affected by disease or injury. Your Dog’s Eyes – Cataracts are the most common eye disease associated with Bichons. What are cataracts? The lens of the eye becomes cloudy, and it makes vision blurry. 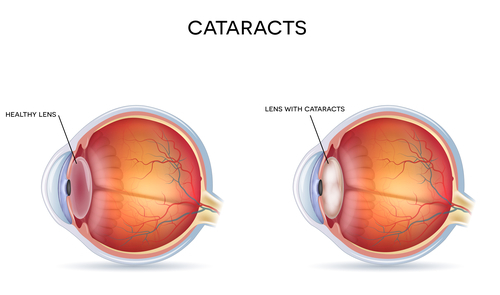 If not removed surgically, cataracts will keep getting worse. Cataracts in dogs and humans eventually lead to blindness. The tendency to get cataracts is inherited, so knowing the history of your dog’s parents can be helpful. Bichons can also get canine conjunctivitis or pink eye and older Bichons sometimes have glaucoma. Ear Infections – The outer and inner ear canals are each prone to infection. These infections could be the result of ear mites, yeast, bacteria, an improper diet or not cleaning your dog’s ears routinely. 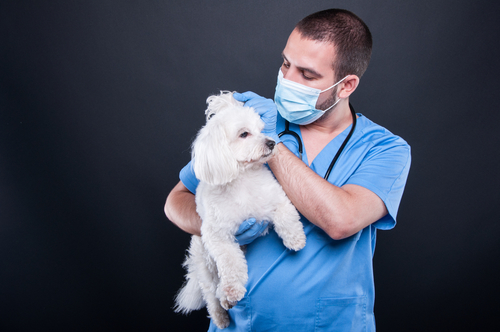 If you suspect that your Bichon has an ear infection, please visit your vet immediately. It is very important to treat ear infections as soon as possible so that they don’t worsen. If not detected and treated, ear infections can lead to deafness. Just like any other dog, a Bichon Frise can suffer an injury. But there are also a number of other conditions that can develop as your dog gets older. Some are more painful and debilitating than others, but they all do require your attention. Probably the most common joint condition seen in Bichons is patellar luxation, which is an inherited trait that can be passed down from either the dam(mother) or the sire(father). It’s when your dog has dislocated knees. Dislocated knees are the result of weak ligaments that don’t hold the knee securely in its proper place. If this condition is not medically corrected, the ligaments will eventually become torn and your dog will have a lot of pain when walking. The hormones in your dog’s body are like little messengers that tell different parts of her body what to do. They help keep things balanced and they also tell different organs what to do and when to do it. Three different hormones that you are probably familiar with are insulin, estrogen and progesterone. Insulin keeps blood sugar levels within a certain range and estrogen and progesterone regulate the reproductive systems. 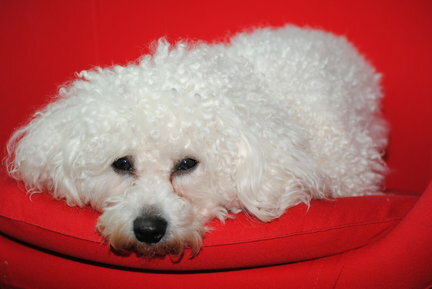 Canine Diabetes normally occurs in middle-aged or older Bichon Frises. Diabetes occurs when the pancreas doesn’t produce proper levels of insulin. Your Bichon dog can have an inherited predisposition toward diabetes, but this is not always the case. Other factors that could lead to the development of diabetes are; an overweight dog, certain drugs or medications (such as steroids), and an inflammation of the pancreas. Diabetes in Bichon Frises can be regulated with insulin shots and a change of your Bichon Frise’s diet. 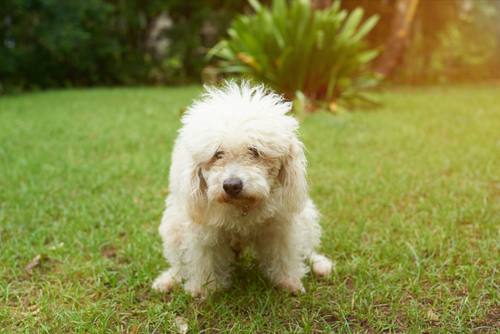 Cushings Disease is a health problem that is usually the result of over use of steroids that are used to treat Bichon dog allergies. Symptoms of Cushings include constant thirst, constant panting, strange behavior, thinning of the hair, depression and even seizures. If your dog has Cushings Disease, she may also have canine diabetes. All dogs can get cancer, and Bichons are no exception. There are several cancers that your Bichon is more likely to get than others. As your dog ages, be alert to lumps, bumps, rashes and any changes in your dog’s health. Some health conditions can certainly be prevented. Use a little common sense and make sure that your dog is safe and healthy. Heat stroke is a good example. 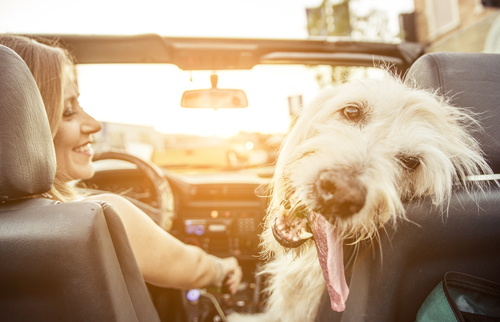 When a dog has a heat stroke, it is most often because his owner left him in a car. Cars heat up very fast and can quickly reach a dangerous heat level, even on a coolish day that is around 60 degrees. Out of all of the above mentioned conditions, only one, dog allergies, is found in most Bichon Frises. 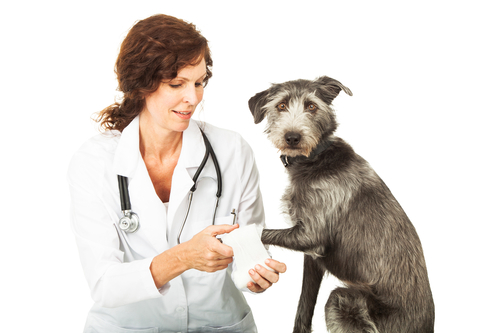 Most of the other conditions can be prevented, or treated by you and your veterinarian. Perhaps the most important part of picking a new puppy is choosing a dog that is healthy and has a strong immune system. That will be partly determined by your puppy’s ancestry and partly by his appearance. Picking a healthy puppy can help you avoid most common dog health problems. Keep in mind that some medical conditions cannot be reversed, no matter what you do to improve your pet’s health. Congenital conditions are simply passed from one generation to another. A good breeder will breed only healthy dogs, with good blood lines. However, aside from canine allergies, which are are one of the main Bichon Frise health issues, your new puppy or dog will probably be quite happy and healthy. Keep in mind that Bichons are subject to the same medical conditions that others dogs get. Perhaps not as often, but your little Bichon can have issues, especially as she ages. Fortunately this breed has been spared most of the common dog health problems that plague many other pure dog breeds. If you take good care of your cute little Bichon Frise dog, you should have many happy and healthy years together. Long live the Bichon Frise!